We're heading into the Holiday Season: Thanksgiving, Hannukah, Christmas, etc. All the joy. All the wonder. ALL THE STUFF TO DO! Right? I currently have a very long list of things to do, and some of them need done this week, because my Thanksgiving is shaping up to be busier than my Christmas will be, in terms of guests in town and people I want to see. So, while I am doing some things to prepare (making people's favorite chocolate gingerbread, deep cleaning the kitchen floor, and writing out Christmas cards), I want to remember that the most important thing is to FOCUS. I want to give people my presence this holiday. That means, putting the phone away (Other than to take photos!). It means engaging in conversation, listening, having fun with people that I love. It means sharing stories and watching Christmas movies together, or playing Euchre, or getting hot chocolate at Barnes and Noble on Black Friday. Gifts are great, but let's try to really focus on the people around us this holiday. Why are we working ourselves like crazy to get ready, if it's not so we can make magic for people in our lives? Let's focus less on magic, and more on memories that don't require a perfect living room, a perfect tree, or the perfect cards. Put your phones away. Talk to each other. Engage. Make memories. How you spend your time is how you spend your life. Spend it wisely. Today is the feast day of Bl. Lucy of Narni. Yes, that Lucy, and that Narni-a. So avoid Turkish Delight, tea with fauns, and any white witches. But you can have tea with the beavers! Read about the real Lucy of Narni here. 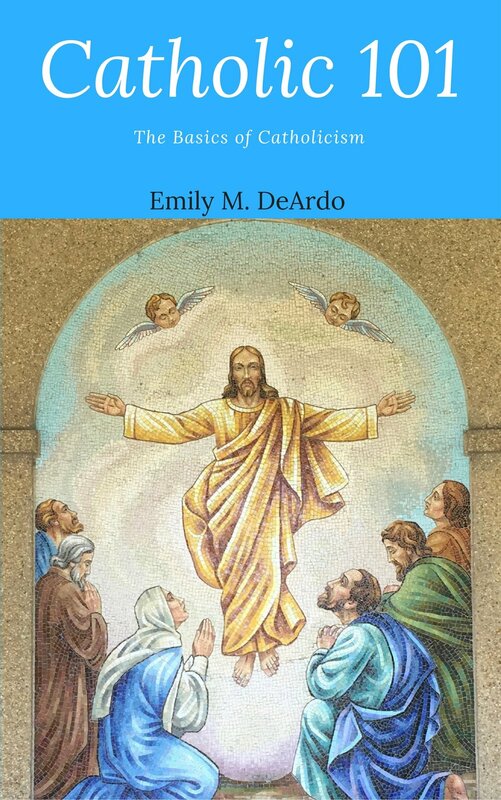 And finally, Catholic 101 can be purchased here!